The comment yesterday from the Chief Justice of the Minnesota Supreme Court, Lorie Skjervin Gildea as she talked with News Director Key Teeters in one of two new court chambers at the Pennington County Justice Center. The High Court will will hear arguments as an actual case plays out before students at Lincoln High School. Principal Scott Brekke (Breck-eee) says students were briefed on the case by an attorney earlier this week. Today marks the 48th time the court will take its show on the road, but Brekke says this is the furthest north they’ve ever gone. 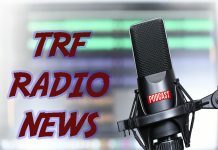 The hearing, which begins this morning at 9am, will be carried live from Lincoln High School on our TRF Radio Facebook Page … and – you can see our interview with Justice Gildea – (and get a look at the new Justice Center Courtrooms) – as this week’s Bergan Travel Key to the City Feature; also at TRF Radio on Facebook ..